To find out the latest information from key Bureau partner the City of Adelaide please visit the ‘What’s on‘ section of the Council’s website. Business Events Council of Australia is the peak industry body representing the nation’s meetings, conventions, incentives and exhibition sector. It develops industry positions on issues of common interest, and communicates them to government and relevant agencies. Association of Australian Convention Bureaux (AACB) consists of 14 city and regional bureaus, each dedicated to marketing their specific region as a premier business events destination to local, interstate and international markets, while also promoting Australia as a whole. 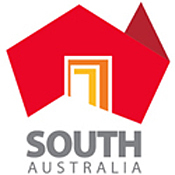 Business Events Australia (BEA) is a business unit within Tourism Australia, charged with promoting and marketing Australia as a desirable business events destination. Business Events Australia and the Adelaide Convention Bureau are separate entities, but the two naturally work quite closely together to achieve their goals. Australian Tourism Export Council (ATEC) is the peak industry body for the nation’s tourism export sector. It aims to improve business relationships for its members and further the issues important to the tourism export sector among key government and business leaders. ICCA is the global community for the meetings industry, enabling its members to generate and maintain significant competitive advantage. The Global Science Alliance was founded by four international convention bureaux. Each bureax is based in a location that has leading strengths in scientific innovation and research. All the bureax also shared a core focus of attracting conventions that can benefit from the destinations strengths in the scientific industry.